05 October 2013. The 2000 passenger Dawn Princess will be the first of 27 ships to visit Darwin during the 2013-14 cruise season, which starts today. “Cruise visitors bring a vital injection of economic activity in the Top End – in restaurants, cafés, retail outlets and tourism attractions – over what is a traditionally slow period,” said Minister for Tourism Matt Conlan. “The arrival of the Dawn Princess is a welcome boost for local tourism operators with many passengers already pre-booked on tours around Darwin and beyond. Some cruise ship visitors travel as far as Kakadu, Adelaide River and Litchfield during their stay. “With passenger spend, crew spend and operational spend, the cruise sector contributed an estimated $66.8 million to the NT economy in 2012-13 up 3.7 per cent on the previous year, according to Cruise Down Under. Mr Conlan said he was pleased to see a new venture for visitors to enjoy, the ‘Larrakia Cruise Lounge by Mantra’ up and running in time for the new season. “A joint venture between Larrakia Nation and Mantra on the Esplanade, the ‘Larrakia Cruise Lounge by Mantra’ is where cruise visitors can gain an insight into our local Indigenous culture, traditions and art in a comfortable, air conditioned café environment,” Mr Conlan said. 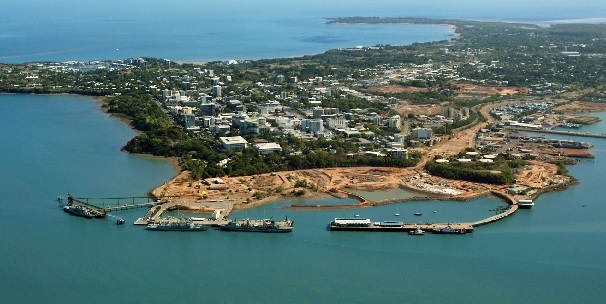 “It is absolutely critical that our retail outlets are geared up and open for business to ensure that these guests have a welcoming and enjoyable visit to Darwin and of course these businesses take advantage of the commercial opportunity that the ship’s arrival provides. The Dawn Princess arrives in Darwin today at 10am.